A new rabbit has joined the Muumade collection! This bunny is an alert and curious one, sitting up on its hind legs to see what is happening in its surroundings! The Little Felt Rabbit sewing pattern & tutorial is available from my Etsy shop, Muumade.etsy.com. 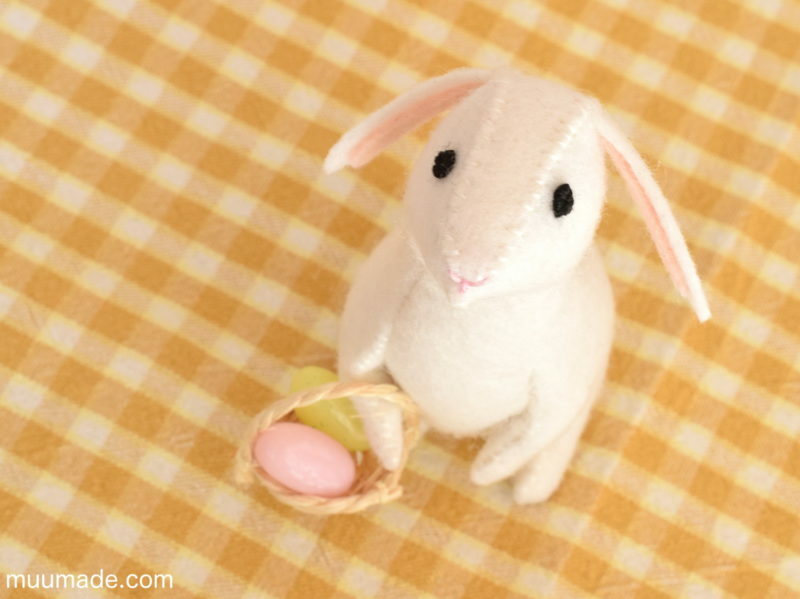 In addition to the rabbit itself, this pattern also includes instructions to make a small basket, as shown in the image above. The tiny basket may not be big enough for real Easter eggs, but it can hold two jelly beans or a number of small pompoms! For more images and information about this pattern, please visit my blog page on the Little Felt Rabbit.